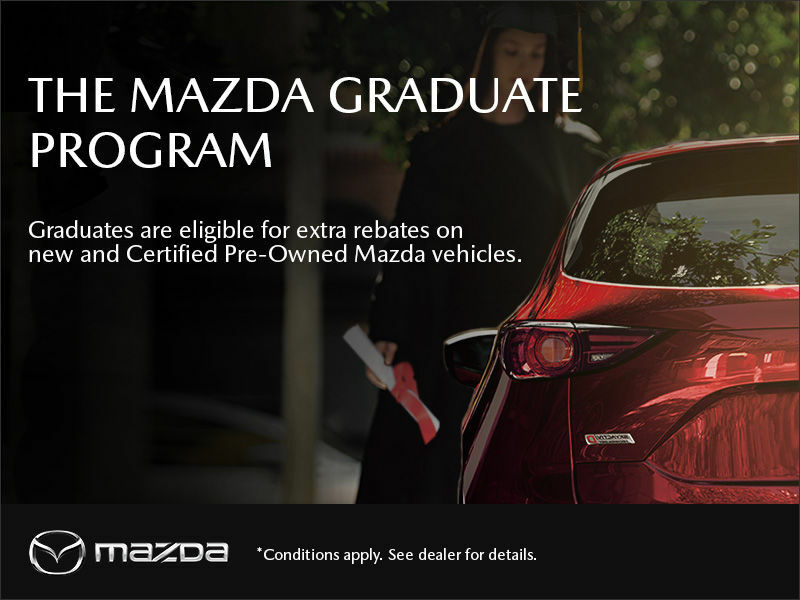 If you are a Canadian resident who has graduated from an accredited Canadian university or college between April 30, 2016, and April 30, 2019, you are eligible for the Mazda Graduate Program. Eligible candidates receive an additional rebate on all new and Certified Pre-Owned Mazda vehicles. For more information stop by our location or contact us, we are happy to help you.